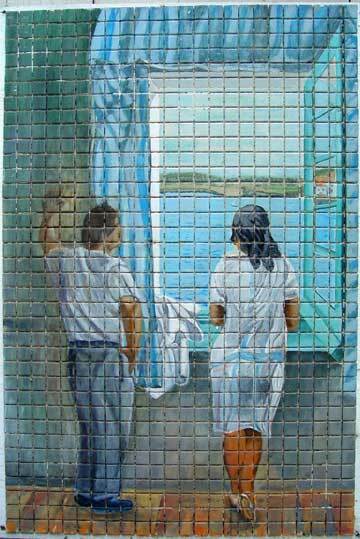 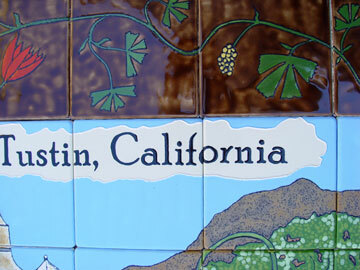 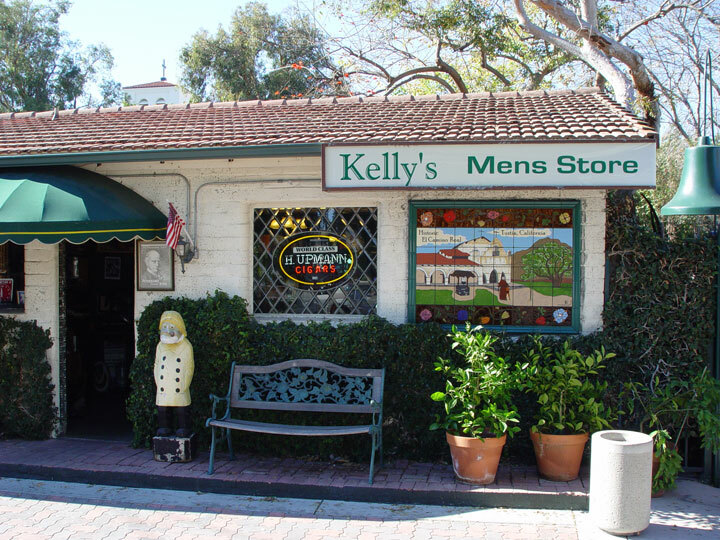 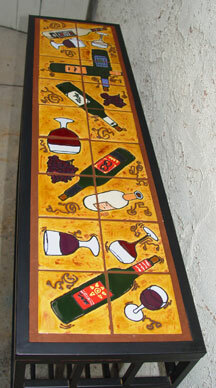 This hand painted mural on ceramic tile was created specifically for the owner at Kelly's Men's Shop. 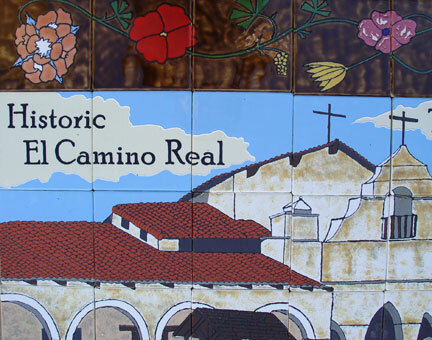 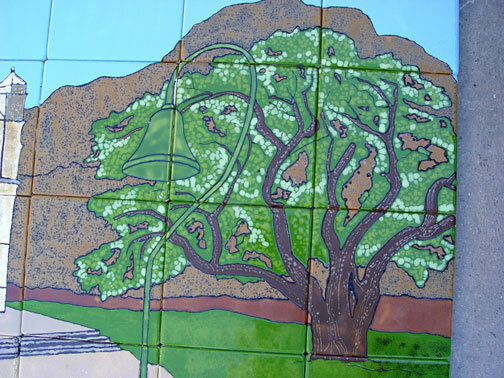 All of the details such as the mission, border, Oak tree, wishing well, father Junipero Serra, etc., were requested to be included in the mural. 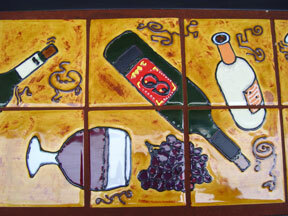 My job was to compose all of this into one tile mural. 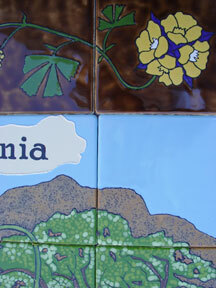 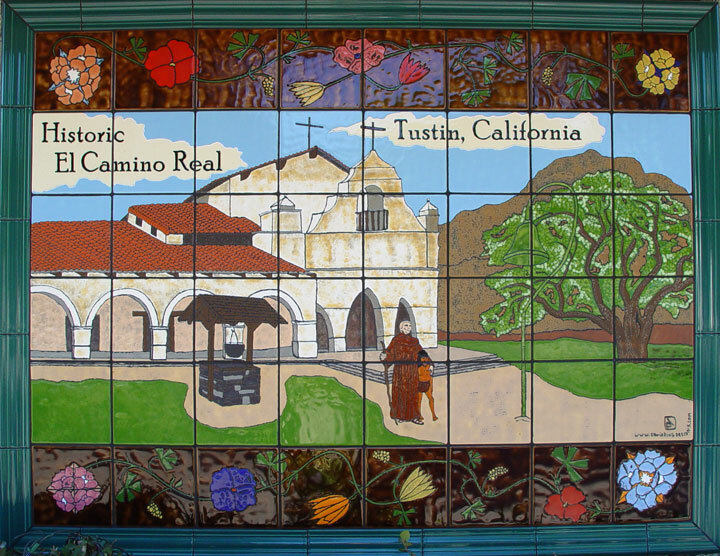 The brown Flowery border on the top and bottom of the mural was taken from the stencil within the church at Mission Luis Obispo. 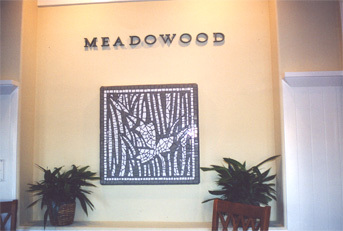 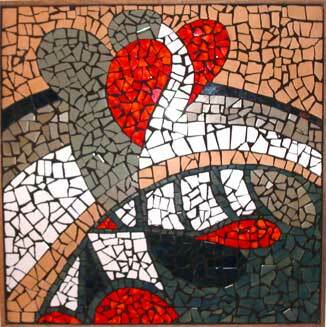 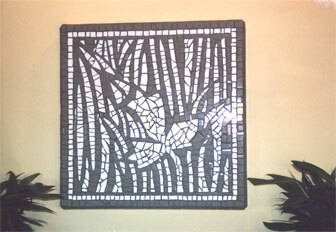 3 Dimensional Mosaic called "Harvest". 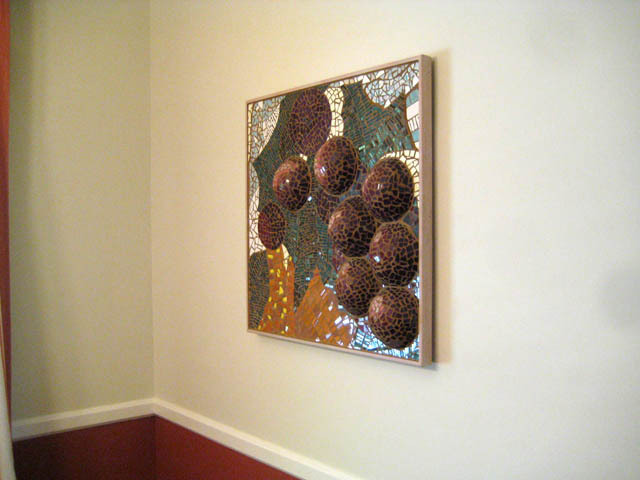 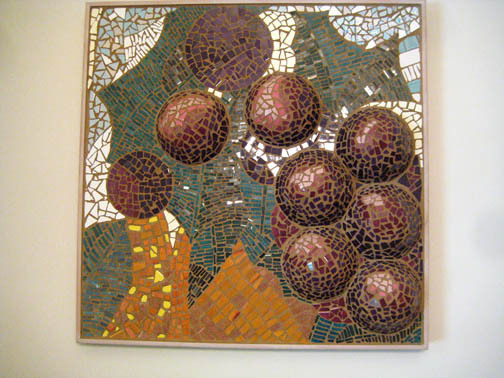 Abstractly depects grapes, sky, sun, and leaves using hand glazed and cut mosiac tile. 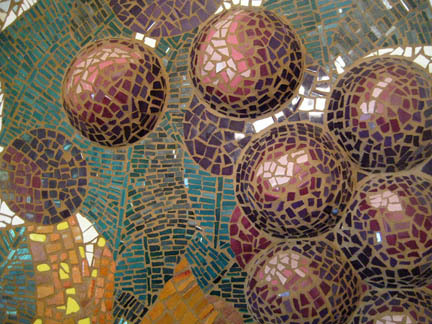 The grapes are created by throwing on the potter's wheel ceramic bowl shapes with a round bottom. 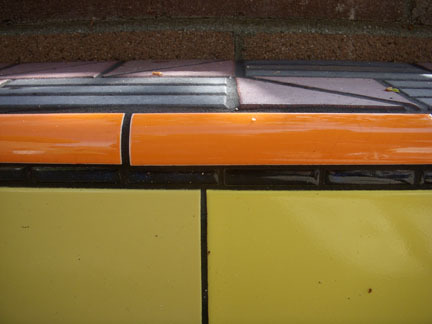 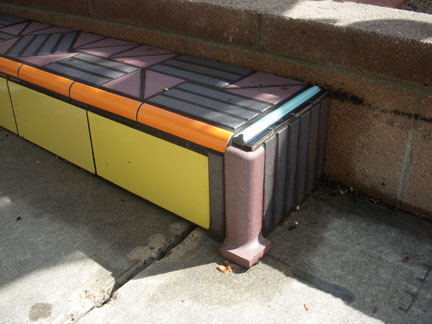 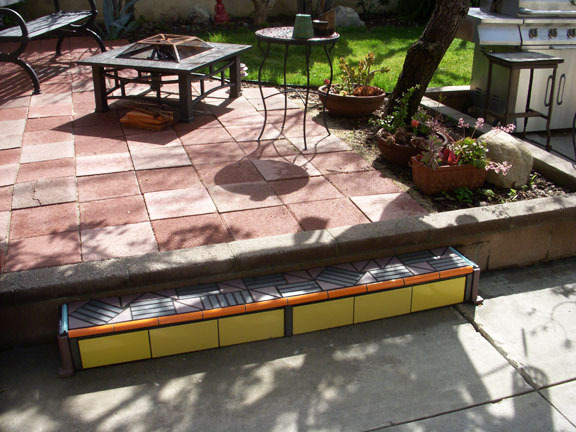 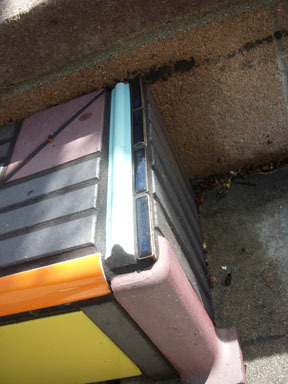 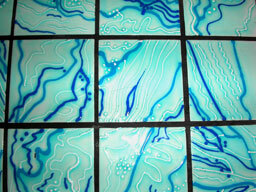 These are turned over and affixed to the tile backerboard and the mosaic is created over the forms. 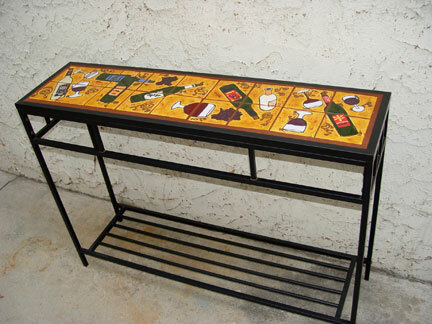 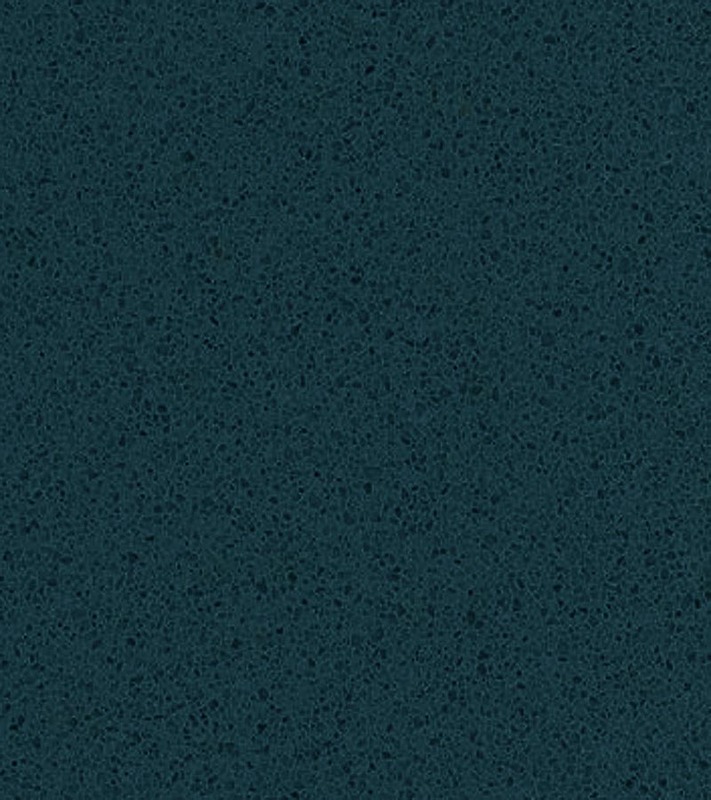 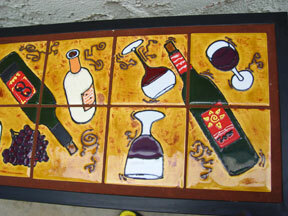 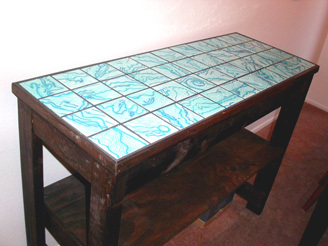 This mosaic is 3 ft x 3 ft.
PATIO WINO TABLE- PERSONAL USE!